To present and receive gifts – is a pleasure. Especially if the gift is - flowers. 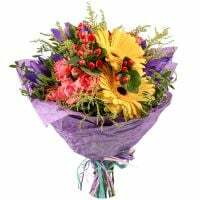 A bouquet of flowers can be given just wanting to make a nice to person and tell about your feelings. You can give a woman as a luxury, a large bouquet of flowers as a modest, small. It`s possible to present a single flower at all - and it will also be appropriate and enjoyable. If she is very bright, active, cheerful and emotional nature, the bouquet must be exactly the same. Let it be an ensemble of colorful, fragrant flowers. And if a woman is calm, gentle, dreamy and very romantic, you can send flowers to her in the same style: delicate, refined, and delicate. 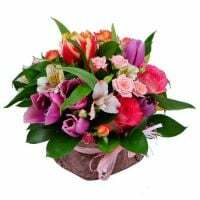 Modest and quiet woman will appreciate more a modest bouquets than bulky. You can give flowers in person into the hands of a woman, and you can use the service of delivery. 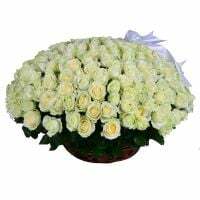 Flower delivery – is original and very romantic way. For example, to flowers, you can make a card, letter, or an extra gift. Flower delivery – is a service that is available in any floral online store. Including ours. Do not hesitate; any woman will appreciate such a surprise. Give flowers to women with or without occasion! Give happiness!